It’s not that I’m against DreamWorks making a Ghost in the Shell live-action remake. The original manga has been translated into various anime forms, from movies to TV shows to reboots, so the series has proven to be mutable enough that live-action could work. It’s that I’m against the kind of movie Hollywood would make. Having Rupert Sanders ready to direct Bill Wheeler while Avi Arad and Steven Paul produce is alright, but the first actor has been confirmed: Scarlett Johansson will star. She’s a great actor and would make a fine Major Kusanagi, assuming she gets the lead role. But, uh, the character is Japanese, not white. 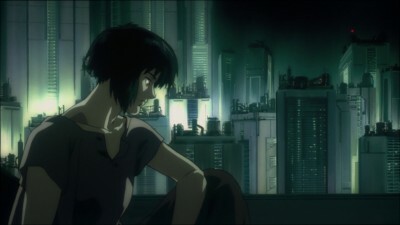 Sure, Kusanagi is a cyborg with a body that could look any way she wants, but this reeks of whitewashing a film. (For the record, no, your average anime characters are not white for the reasons listed here.) And while I think it’s good to make film more diverse by suggesting the next James Bond could be black, turning a character white just feels like a step back. What, is the movie also going to be set in Neo Manhattan now, similar to Warner Brothers’ live-action Akira project that’s still in development hell? For that matter, Ghost in the Shell still isn’t greenlit, also similar to Akira. But now that Johansson is committed to the project, it’s a lot more likely to get greenlit. Maybe someday Hollywood won’t feel the need to shoehorn a white protagonist into every major blockbuster.